Using high-performance machine coolants can help you get better tool life and avoid rust and other issues in cutting and grinding operations. 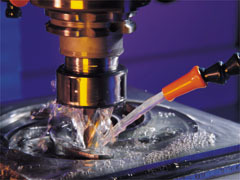 That fact makes it easy to understand the importance of purchasing metalworking fluids developed by manufacturers with a reputation for producing superior products. At Wm. 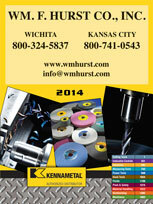 F. Hurst Co., LLC, we offer businesses in Kansas City, Wichita, Dallas, Fort Worth, and other cities throughout the Midwest a comprehensive selection of machine coolants from Master Chemical, a global leader in metalworking fluids used in automotive, aerospace, and other manufacturing industries. These coolants are designed to minimize waste and maximize productivity, and by using these fluids at your operation you can reduce overall fluid purchases, lower machine tool costs, and lessen disposal costs, which will provide you with immediate savings on your bottom line. In addition to metalworking fluids, we offer an unmatched selection of other industrial supplies, including cutting tools, assembly tools, abrasive discs and belts, and personal protective equipment. Contact us today if you would like to receive more information about the Master Chemical machine coolants we offer to companies in Kansas City, Wichita, Dallas, Fort Worth, Sedalia, Joplin, Springfield, and other cities in the Midwest.